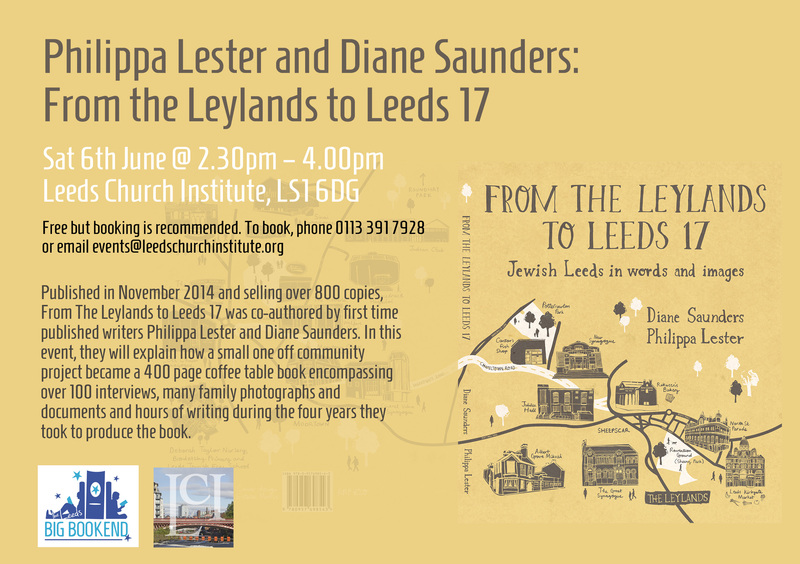 Published in November 2014 and selling over 800 copies, From The Leylands to Leeds 17 was co-authored by first time published writers Philippa Lester and Diane Saunders. In this event, they will explain how a small one off community project became a 400 page coffee table book encompassing over 100 interviews, many family photographs and documents and hours of writing during the four years they took to produce the book. Philippa Lester worked in Further Education for many years. After retirement she turned social entrepreneur and wrote From the Leylands to Leeds 17 together with Diane Saunders. Diane works in Financial Services and has many other interests including politics and community activism. They continue to work together on other literary projects.